Soba is a type of noodle made principally from buckwheat flour, with wheat flour, imo (a type of taro root), and egg white serving as a thickener. The noodles are boiled briefly and then immediately rinsed with cold water. The noodles are often served cold on a zaru (ざる woven bamboo mat), and dipped in tsuyu (つゆ "seasoned sauce") flavored with fresh condiments such as grated wasabi (わさび Japanese horseradish), diced green onion, and strips of nori (laver seaweed). This is called zaru soba (ざるそば). 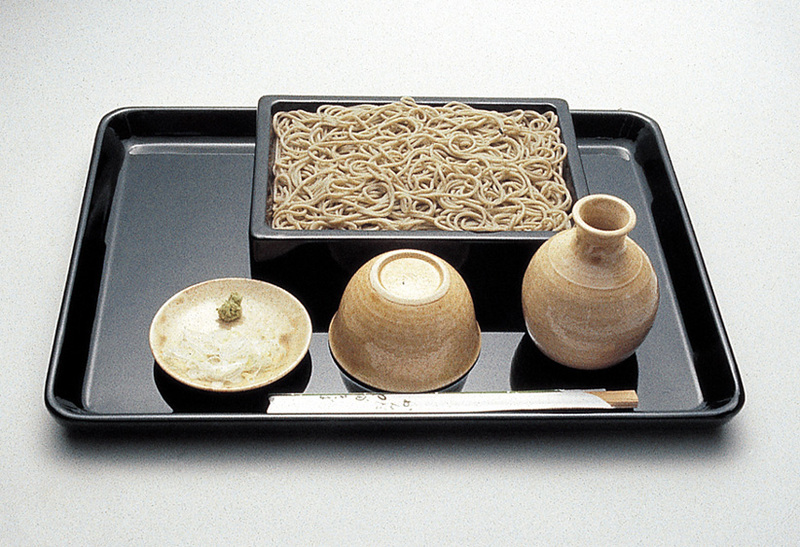 Soba eaten in a hot broth (similar to the tsuyu つゆ dipping sauce) is called kake soba (かけそば). Toshikoshi soba (年越しそば としこしそば year-crossing soba) is a traditional New Year's Eve dish. Udon are thick noodles made of wheat flour. 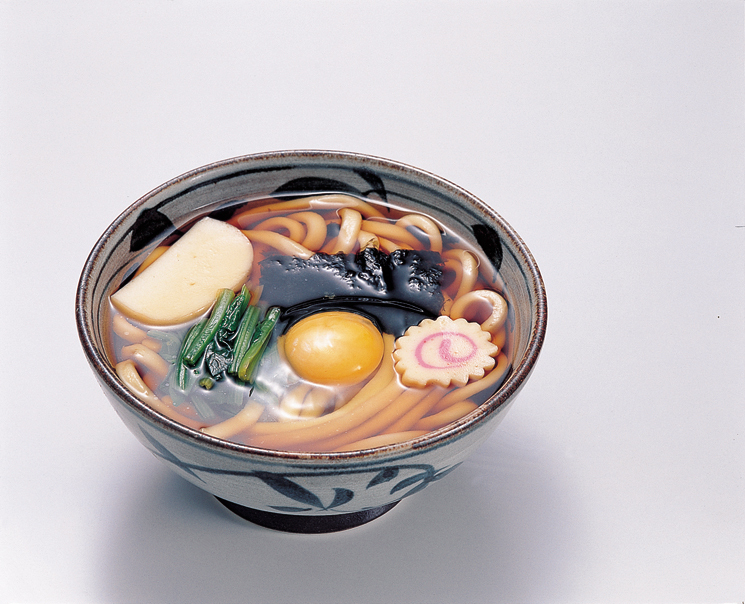 The making of udon is thought to have been brought to Japan from China during the Nara period (710-794). Salt and water are added to flour to make the dough, which is kneaded, let to stand, rolled out, and cut into strips. The noodles are boiled and served in a hot broth tsuyu (つゆ dipping sauce) flavored with shoyu (醤油 しょうゆ soy sauce), mirin (みりん sweet cooking sake), sugar, and dashi (だしsoup stock) made with flaked dried bonito. Udon and soba are served in many variations, such as accompanied by tenpura (天ぷら てんぷら deep-fried fish and vegetables), eaten with raw egg (tsukimi soba/udon 月見そば/うどん つきみそば/うどん), or sweet-sour flavored aburaage (油揚げ あぶらあげ deep-fried been curd) (kitsune soba/udon きつねそば/うどん).